During the mid to late 2000s, Harbhajan Singh and Shanthakumaran Sreesanth were two of the most volatile characters in the Indian team. These two enigmatic cricketers collided with each other to produce the most unsavory on-field incident in the inaugural season of the Indian Premier League (IPL). 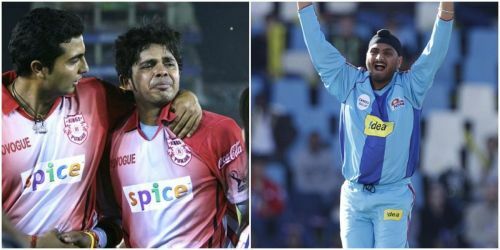 In the 2008 IPL edition, Harbhajan triggered a massive controversy when he reportedly slapped national teammate Sreesanth at the completion of a group match between Kings XI Punjab and Mumbai Indians at the PCA Stadium in Mohali. The tumultuous episode occurred on the 25th of April. Kumar Sangakkara's compact 94 set the platform for Kings XI's comprehensive triumph. After the game got over, players from both teams began shaking hands with each other in customary manner. At a certain point in time, Sreesanth was spotted crying inconsolably. Even as teammate VRV Singh and Kings XI co-owner Preity Zinta tried to console the temperamental pacer, news emerged that Harbhajan had slapped him during an unforeseen confrontation. Harbhajan was stand-in skipper of Mumbai Indians due to the injury-enforced unavailability of Sachin Tendulkar. The match against Kings XI was their third defeat in a row. Already under pressure, the off-spinner was further enraged at Sreesanth's aggressive send-offs to his batsmen. Lalit Modi, the then IPL Commissioner, stated, "The referee studied videotapes of the incident and found the assault by Harbhajan was totally unprovoked. The footage exactly showed that Harbhajan went down the line, wishing all the players, shaking hands with a few players. Sreesanth was the third player that he met. Instead of shaking his hand he actually slapped him and continued down the line, shaking hands with the other players." After an elaborate hearing in Mumbai, Harbhajan was banned from the remainder of the IPL season by the disciplinary committee comprising President Sharad Pawar, Incumbent Shashank Manohar and Vice-President Chirayu Amin. The decorated bowler was found guilty of a Level 4 offence under ICC regulations. The punishment was meted out in accordance with the Indian board's clause 3.2.1. 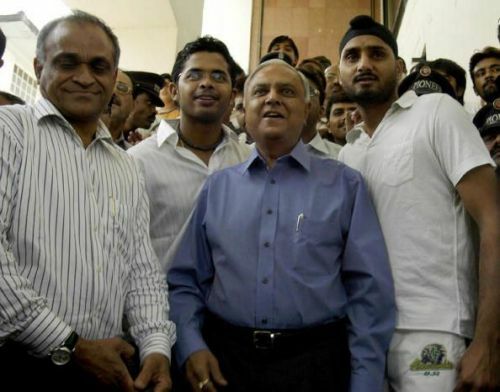 The BCCI appointed eminent lawyer Sudhir Nanavati to probe the incident. Harbhajan admitted to his offence before apologising to Sreesanth as well as the general public. In addition to his IPL ban, the off-spinner was also suspended for five ODIs. Meanwhile, the pacer was warned by the board regarding his conduct on the field. Escaping the prospect of a life ban, Harbhajan missed out on a tri-nation series and the 2008 Asia Cup. He returned to action during the tour of Sri Lanka and eventually went on to share the dressing room with Sreesanth in the subsequent years. Ostensibly, the two players had reconciled at the hearing. While Harbhajan would later admit that he was 'embarrassed' by the incident, Sreesanth claimed that he was not slapped but elbowed instead and referred to the off-spinner as a 'backstabbing person'.